In Automatic Welding Wire, we are interested in your productivity, tranquility, savings and continuous improvement. 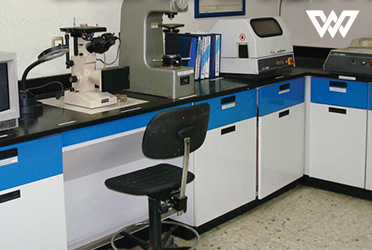 Therefore, we are equipped with a complete laboratory that we can offer as an additional service to all our customers. Operated by our highly qualified staff we offer analyzes and investigations, field troubleshooting and process optimization. Characterization of raw materials in steel health concepts and grain sizes. 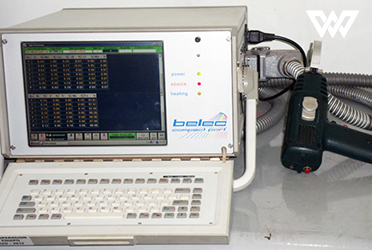 Metallographic characterization of structures in temperate parts, castings, and where is determining the type of metallographic structure being sought. Failure analysis in fractured pieces to determine if it was for structure, grain growth, nonmetallic inclusions, etc. Success Story: Client had rejected a batch of an automotive part for cracks. It was revised metallographic and hollows were aligned not jeopardized the piece so the lot was accepted. Voltage resistance wing, to know the degree that has the material. 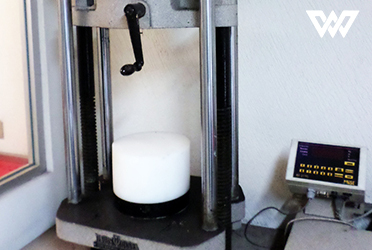 Charpy impact test, where it discloses the toughness of the materials at different temperatures (0°C to -40°C). Success Story: Using a stress analysis, it was found that the raw material that our client was receiving, did not meet the minimum yield for a 1008 grade steel which was causing fractures. Verification of hardness in materials. 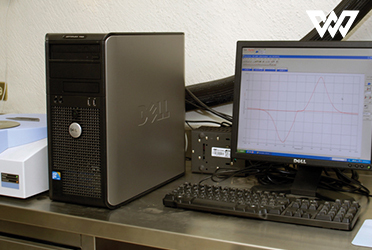 Microhardness tests when required to know the degree of hardness in a given area. Macroetch to see the geometry of weld beads applied by processes MIG wire or submerged arc. Success Story: An analysis of hardness was made to the raw material of one of our clients who used the material for deep stamping and was verified that it was within the range for not to suffer fractures. Spark spectrophotometer method; semiquantitative analysis of Si, Mn, Cu, Al, Cr, Mo, Ni, V, Ti, Nb, Fe, excellent to classify steels. Wet-quantitative determination of Mn and silicon with excellent precision and laboratory techniques PH acidity hardness, moisture. LOI calcinations, etc. Analysis of carbon and sulfur LECO CS-744 next-generation infrared detector. 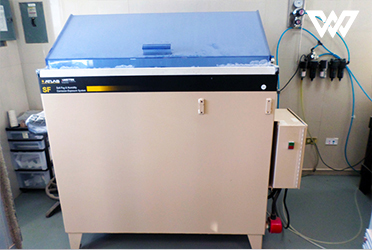 Success Story:Our client was having leak problems in its cooling appliances. Performing an analysis by wet, it was found that the brasing rings had no silver, which was causing the leak, thus solving the problem. Success Story: Our customer was having problem with rust in some of their parts number. We supported him by a study with the saline chamber where it was found that the oxidation of its parts was caused by improper washing treatment.